My Music City Mommy - Family Savings - Nashville Tennessee: Old Navy - Black Friday NOW LIVE = $10 Flannel Shirts + More! 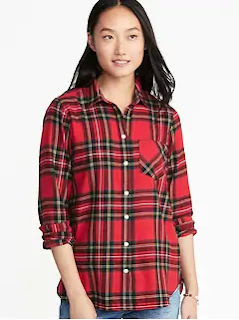 Old Navy - Black Friday NOW LIVE = $10 Flannel Shirts + More! Today Only! $10 Adults and $8 Kids Flannel Shirts at Old Navy. Ends 11/21. PLUS Black Friday NOW LIVE - with 50% Off Entire Purchase with 1000s of Styles from $5. Ends 11/23.